Russia will boost its efforts to explore the solar system and seek a bigger share of the market for space launches in the next decade, Prime Minister Vladmir Putin said on Thursday. Speaking ahead of the 50th anniversary of Yuri Gagarin's pioneering space flight, Putin said Russia's plans go beyond transporting crews to the International Space Station. 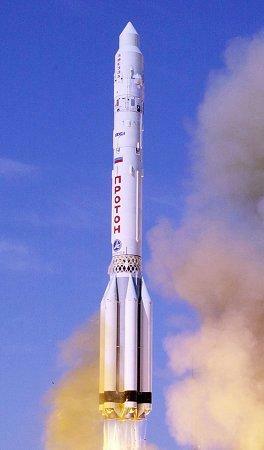 “Russia should not limit itself to the role of an international space ferryman. We need to increase our presence on the global space market,” Putin told space and other government officials at his residence outside Moscow. Energy-rich Russia's space budget for 2010-2011 is 200 billion roubles ($7.09 billion), which Putin said made it the world's fourth-largest spender on space after US space agency Nasa, the European Space Agency and France. “Such resources enable us to set serious goals,” Putin said. Putin said Russia currently provides about 40 percent of all space launches and wants to increase its share of what he said was a $200 billion market to as much as 50 percent in the near future. Russia, which has used the Baikonur Cosmodrome in ex-Soviet Kazakhstan for all manned launches since Gagarin's, would begin sending humans into space from a new facility it is building in Vostochny in eastern Siberia starting in 2018. “It is worth recalling that our automatic stations in the '50s and '70s were first in reaching the moon, Mars and Venus. These achievements are forever written into the history of space research,” Putin said. The late Soviet cosmonaut Gagarin became the first human in space on April 12, 1961, orbiting Earth in a 108-minute flight that stunned the world and raised the stakes in the US-Soviet space race. Half a century later, Russia is set to be the only country to take crews to space after Nasa mothballs its shuttle programme later this year. A Russian Soyuz craft bearing Gagarin's portrait docked with the International Space Station early on Thursday (late on Wednesday GMT), delivering two Russians and an American astronaut to the orbital outpost. Russian space spending is far smaller than that of Nasa, whose proposed budget for fiscal 2011 is $18.7 billion, but it has increased in recent years. Business daily Kommersant reported that Russia's 2007 space budget was $1.4 billion. But Deputy Economy Minister Andrei Klepach predicted Russia would face a space spending squeeze in 2015-2016 unless it makes long-term budget plans, through 2025, that would include moon research and other programmes. The country's space programme has also suffered recent setbacks including the delay last month of a Soyuz launch to the International Space Station and two failed satellite launches this year. Scientists at the meeting were divided over the future direction of the space programme and whether it should set its sights on the moon or Mars. Lev Zelyony, director of Russia's Space Research Institute, said it should first focus on the moon, predicting a new space race because of the recent discovery of water there. “Where there are resources, there is always competition,” said Zelyony, who said two moon explorations are planned in 2013 but no money had yet been assigned for the missions. Vitaly Lopota, head of spacecraft manufacturer Energiya, said the United States was looking to Mars and Russia should do the same. “If we make the moon the priority we will lose in the long term,” he said. Can WISE Find the Hypothetical Planet 'Tyche'? Will Elenin comet hit our Planet ? Remains of Past civilization on Mars ? Earth's poles overdue for reversal? For earthquake warnings, look to ... toads?